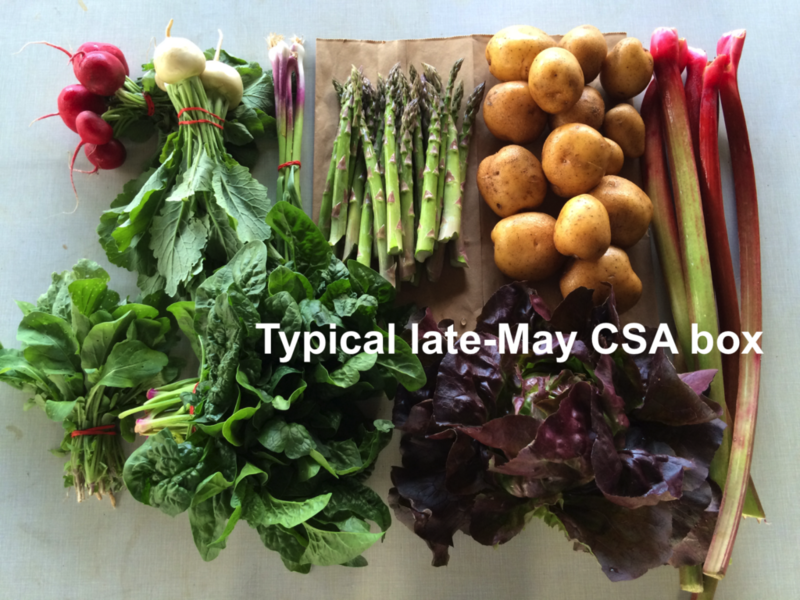 This week begins the second half of our CSA season. There’s so much great produce yet to come. These is peak work season for us. 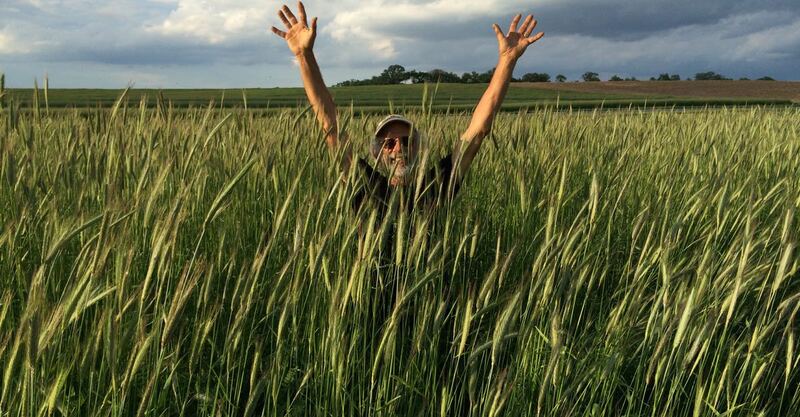 We’re harvesting like mad, but still getting our winter storage crops established. Let’s share some highlights of the past week. Onions are the first seeds we plant in the greenhouse each February. They start as tiny threadlike seedlings, and need so much tending between February and August. It feels like an accomplishment to nurture them from their weak beginning all the way to harvest. About one third of the crop is harvested. The onions spend a week or two in the greenhouse to dry before going into cool storage. At top, Gage, Billy and Boi roll crates from the harvest wagon into the greenhouse. From left, Jon, Billy and Boi sample muskmelons at lunch. Steve harvests watermelons, the crew harvests muskmelons. We grow multiple varieties. Learning to judge ripeness for each variety requires lots of sampling. It’s part of the job. When our harvests are finished each day, we head out to the fields to weed carrots. Five acres of fall carrots have kept us at this task for weeks. From left, Kelcie and Dana weed carrots. Dana is one of several folks leaving us to return to school, either as a student or (like Dana) a teacher. After 31 days without rain, Tuesday night’s storm was very, very welcome. Dry weather is great for the vegetables (it keeps most diseases in check) but hard on Steve who is responsible for irrigation. Steve greases the travelling irrigation gun. It’s been used heavily during the past four weeks. Some sites will get 1 modest head lettuce. Next week’s box will probably contain tomatoes, peppers, melon, cucumbers, zucchini, kale, onions, garlic, cilantro and more. Orano peppers (orange, tapered, sweet) – These are great snacking peppers. Sweet and flavorful, they are excellent raw. Pack one in your lunch. These sweet orange peppers look like frying peppers but behave like bell peppers during cooking. ‘Thai Magic’ basil – This basil variety has a hint of anise flavor. Great in Thai and Indonesian dishes, it’s a fine substitute for Italian basil. We plant this cultivar for variety, and because it is resistant to a disease that often damages basil in late summer. ‘Summercrisp’ lettuce – We’ll fit these into boxes where there’s room. As usual, we harvest lettuce small this time of year to avoid problems that develop in warm weather. Feel free to add corn kernels, and roasted or grilled eggplant to this dish. It is very forgiving.